This is a sample itinerary highlighting the best fine dining restaurants along the Turkish coast and neighbouring Greek islands. 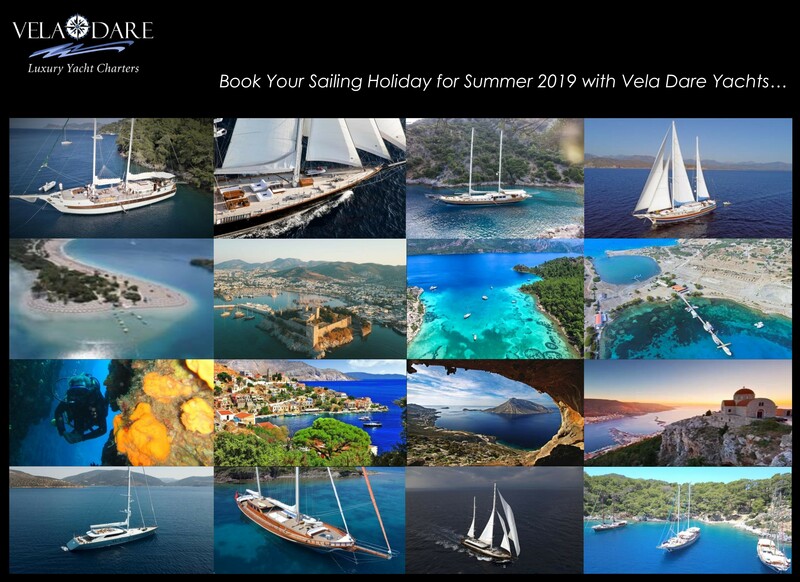 The restaurants selected in this itinerary are recommended by the author and the guests of Vela Dare yachts during the summer 2018. Bahce Fish Restaurant , same family who owns the original Bahce restaurant with classic Turkish food menu has opened Bahce Fish to serve its regular guests choice of sea food. Alexandra’s Restaurant is without a doubt is the best restaurant to enter our list in Katellorizo, serves sea food and Greek delicassies..
Baharat Restaurant in Kalkan is our recommendation, serves delicous meat dishes and selected Turkish mezes. When we talk of Gocek , we talk of high caliber yachts and their guests onboard frequently visiting the Gulf from May till October. When there is such demand, the supply comes swiftly and in Gocek Gulf you find good venues to satisfy the discerning yachting elite. Turunc Pinari Restaurant @ Turunc Bay. ( ex-Osman’s Place) Serves whole lamb tandir, seafood and mezes. Q Lounge, D-Resort Göcek @ D Resort beach hill. Serves contemporary Japanese and fusion and best sun downer cocktails. Özcan Restaurant @ Göcek waterfront. Serves seafood and variety of mezes. Adaia Restaurant @ Hamam bay, Göcek Gulf. Serves seafood and mezes. Zeytin restaurant @ Bedri Rahmi bay and Göbün restaurant @ Göbün bay both worth trying if you are spending more than a few days in the gulf. My Marina @ Ekincik bay, one of the oldest fine dining on the coast serving sea food, meat and mezes. Sardunya restaurant @ Selimiye Hisarönü, is the most renowned seafood and mezes restaurant usually booked out by the yachties. Make sure you make a reservation. Kekik Restaurant @ water front is a successful and modest restaurant with alternative mezes.